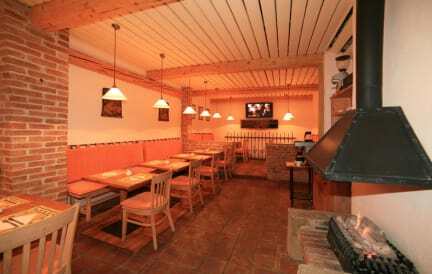 Hotel Kavalerie v Karlovy Vary, Česká republika: Zarezervujte nyní! 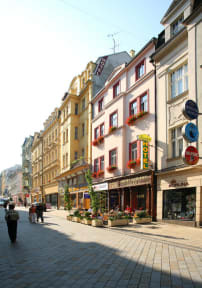 Due to its favorable situation within walking distance of Karlovy Vary mineral springs and its administrative and shopping center it is favored both by spa guests and tourists. We offer parking in subterranean parking for bargain price. Wireless internet is available in the all rooms of the Kavalerie hotel free of charge. Our small family hotel, situated in very heart of the spa town, directly on its pedestrian zone, is quiet and without any traffic noise. We offer 2 Family rooms, which comfortably accommodate 4 persons, 2 One-Bedroom Apartments with Kitchenette, 5 Standard Double rooms, 7 Economy Double rooms and 2 Tourist Double rooms. All rooms have private bathroom with, toilet, bathroom amenities are also included. Hotel Kavalerie Policies and Conditions. Cancellation policy: 72 hours before arrival. This property may pre-authorize your card details before arrival. Payment upon arrival by cash only! If you want to check in after 6 pm, please contact us directly to arrange your check in.